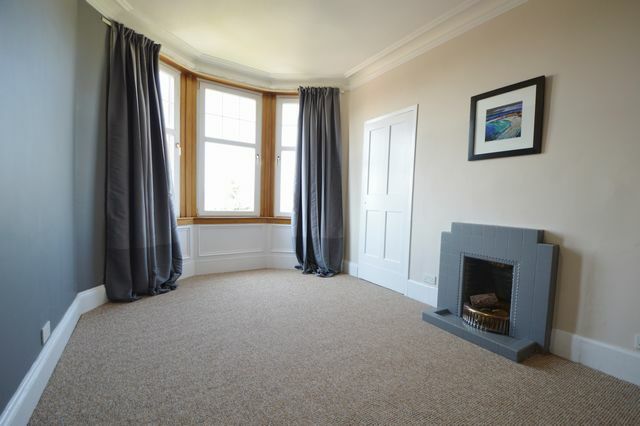 Recently decorated and upgraded one bedroom flat in convenient location- ideal for Vet School, Anniesland College or anyone looking to be close to Anniesland Cross and train station. This tenement flat comprises entrance hall, bathroom with shower over bath, front facing bay windowed large bedroom with recess, and rear facing living room with small kitchenette off. GCH. Double glazing. Well decorated throughout in stylish pale grey tones.